Thanks as always for the detailed replies, @PINE64. I've updated the first post again. You and TL have been keeping me busy doing that. @domubpkm We haven't decided on that yet. @PINE64 Ok. But i'm sure that you know that it is an essentiel mecanim especially for DEKKO 2 notification.. Thanks for the feedback re. the notification LED - I'll take it back to TL and argue that its a desired feature. Software-wise, do notification LEDs work on Ubuntu Touch? argue that its a desired feature. Thanks. Practically INDISPENSABLE for a good/full use of Ubuntu Touch. TL "one RGB LED is OK. 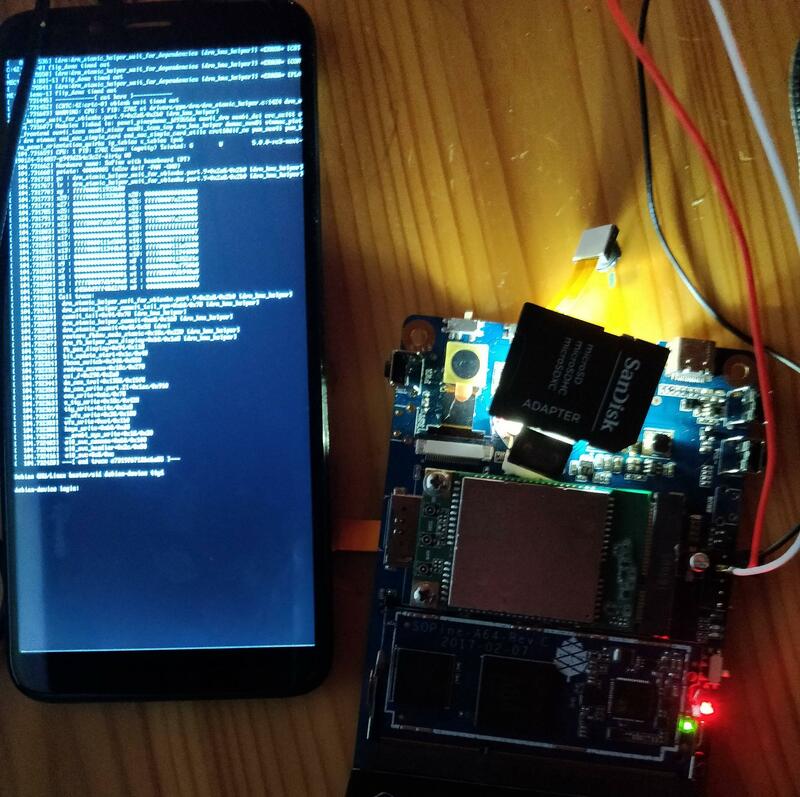 I will factor in on devkit v2 and PinePhone"
You beat me: I saw @mariogrip's photo on IRC archive from earlier and was just coming here to post about it. I was really tempted to title the picture "we finally got the flash working!" @PINE64 You mean the SanDisk flash ? Will the Pinephone be compatible with NexDock 2? Will NexDock 2 work with a Nexus 5 running Ubuntu Touch? As I understand it, NexDock 2 does not have present the kb/mouse over Bluetooth, so you would only be able to use it as a monitor for Nexus 4/5. Will NexDock 2 work with the new Pinephone running Ubuntu Touch? It will not work over the USB-C as the Pinephone as I understand will not have SlimPort (DisplayPort alt mode), but straight HDMI. You would need an adapter to split the video out to the HDMI port on the NexDock 2, and use the USB-C for the kb/touchpad and charging connection. Are the above statements correct? Yes, above statements seem correct. The only way to provide data and display over one cable to Nexdock is displayport over USB-C, and it seems like Pinephone does not support this feature. @PINE64 "We actually considered something very similar ourselves in the future ..." Hopefully, the Pine64 LapDock will be similar to NexDock 2 with an optional touch screen. @klowe We'll see in the future. Right now we're pretty focused on getting the PinePhone right. What I will say is - it seems to me that a similar docking station is doable. Would be cool if it would be possibl to slide the phone inside the case (perhaps a modified Pinebook case? ), effectively turning it into a laptop. Feel free to brainstorm the idea, but perhaps its best to do in a different thread ... or on the PINE64 forum.